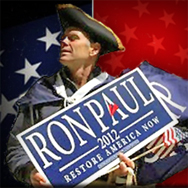 Ron Paul’s candidacy and the Liberty movement offers Americans a way out. Tired of the wars? Good! Bring the troops home, save billions, and put a halt on the extreme interventionist foreign policy that has brought us to the brink of global conflict. Tired of financial apartheid? Great! 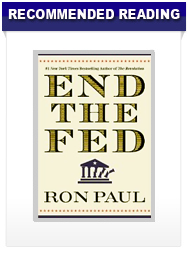 Ron Paul’s Audit the Fed bill is heading to the House floor later this month. Sound money and free markets — not rigged markets — are key to a free and prosperous society. And since CNBC admits that we’re all slaves to central bankers, it might be a good idea to have a little more oversight of the Federal Reserve. The Liberty movement and its unofficial champion Ron Paul are viable alternatives to the nonviable system of government in America today. 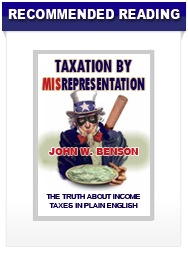 The trillions in unfunded entitlements, the devaluing dollar, and the ever-present waste and fraud in Washington, D.C., will inevitably lead to Americans getting smacked in the face by economic law. Fiat money has a zero percent success rate. More devaluation and collapse are guaranteed. Ludwig von Mises pointed out that despots and democratic majorities, while reluctantly accepting laws of nature, completely disregard economic law, and that “… economic history is a long record of government policies that failed because they were designed with a bold disregard for the laws of economics.” Remember that next time there’s a vote to raise the debt ceiling, spend billions on a stimulus package, etc. The Liberty movement isn’t offering an immediate utopia beginning with a Ron Paul presidency; there has to be a transition period away from the inevitable. Many oppose Paul for not endorsing the welfare state. Indeed, there are many Americans that are dependent on the system in which Ron Paul aims to dismantle. But those that are dependent are going to be hurt the most once the financial day of reckoning comes. Prosperity and equality cannot come from a printing press. After the inevitable bust of the paper money system, Americans’ civil liberties will be under even more of a threat. Drones, NDAA, the PATRIOT Act, and what Salon.com’s Glenn Greenwald calls the surveillance state are diametrically opposed to the ideas of freedom and liberty. Under a Paul administration, the role of the government would be to protect your liberties — not violate them. Although being reverent of individual liberty may mean you’re a terrorist, according to the Department of Homeland Security; it is the understanding and pursuit of liberty that enabled our Founding Fathers to be successful in their revolution. It is that same understanding and relentless pursuit of liberty that has fueled the Ron Paul Revolution. And, lucky for us, Ron Paul still has a chance to win. This entry was posted in News & Politics, Ron Paulies and tagged Audit the Fed, Barack Obama, drones, Goldman Sachs, Grand Chessboard, Homeland Security, John McCain, liberty, Ludwig von Mises, NDAA, Obamacare, Patriot Act, Ron Paul, United States, Zbigniew Brzezinski by Patriots and Paulies. Bookmark the permalink.